My peace and serenity has been shattered. 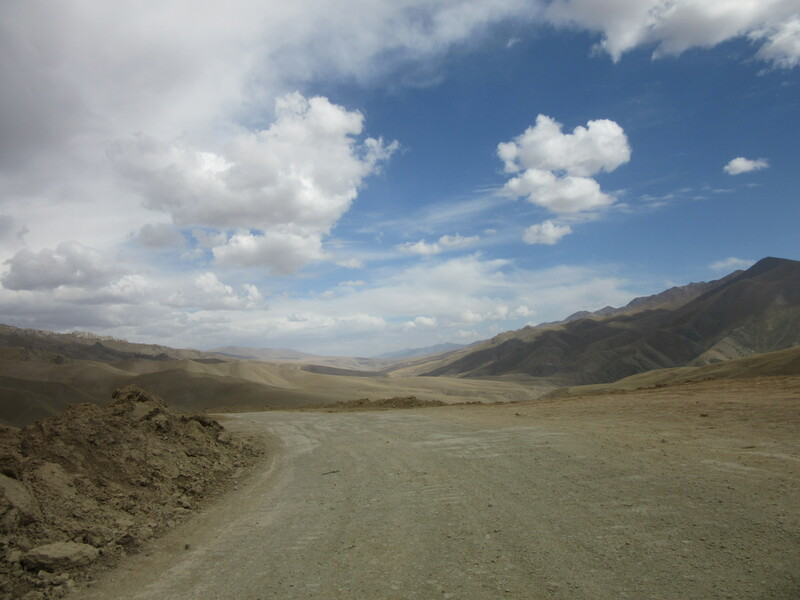 Here I am ten miles down what is no more than a track off the main road to China from Bishkek, Kyrygyzstan, I am sixty miles from the nearest town, Narin. The closest house is some twenty miles away and as for a shop, unlikely might be the right word. I woke up early, with the sunrise and there was nobody around, just a couple of dogs, some cows, the herd of goats and me. Just what I was looking for. The morning stretched away, I read some, walked some, played with the local children, admired the scenery and generally reveled in my isolation. Lunch was served in the small shack adjoining the yurt camp and I dug into salad and soup, just me at a table for about twenty. Then it was all over. First my lunch was invaded by a multinational team of geologists who are staying in a village nearby studying the mountains all around us. They were all very pleasant in a sort of nerdy geologist way, they didn’t crack any geologist insider jokes but they were definitely from another world. But wait, what is this ruckus going on outside? Oh only fifteen RVs! What? 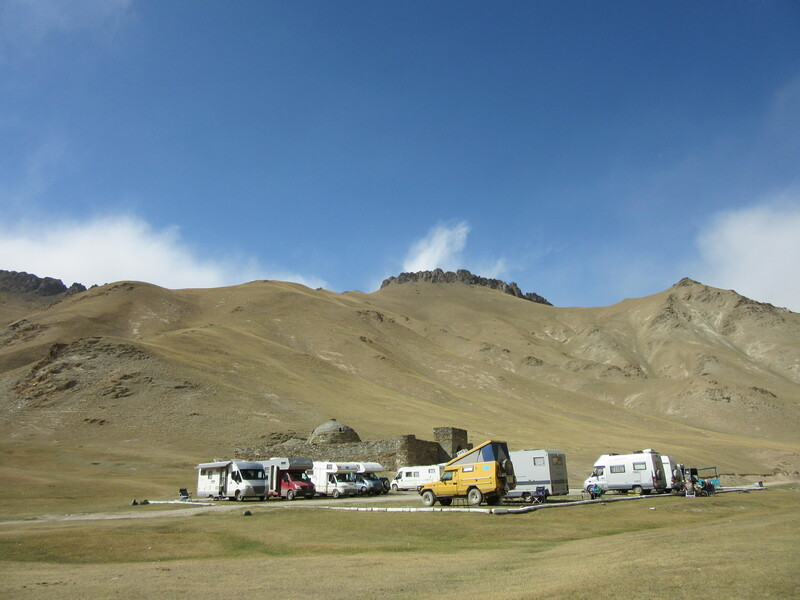 Twenty-five assorted Europeans had been touring Russia, China, Mongolia for a few weeks/months in their Recreational Vehicles and chose today to cross the border, drive fifty miles and turn off to here to Tash-Rabat. Taking a step back I arrived in Bishtek on Sunday with the goal of applying for my visa to China. This I accomplished on Monday at a hole in the wall travel agency at 100 Moscowskaya, great address, hard to find. The lady told me my passport photos were the wrong size so I went across the street and returned with new photos, non passport size ($1.00) submitted them and that was it. No horrendous forms, no signature, no nothing actually, just $100 and leave your passport here and pick it up on Friday. I see faces fall but fear not, this is the Rough Guide and other Guides advice so I went with it. But what to do until Friday, this being Monday. 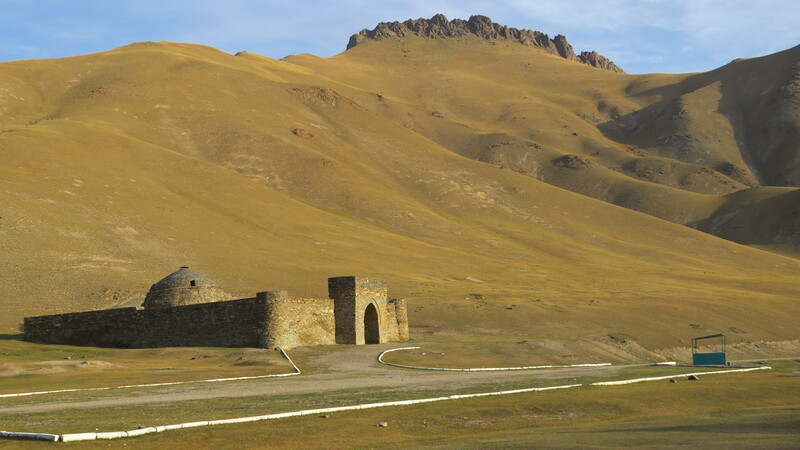 I had read about a remote Caravansary down near the Chinese border, which apparently is one of the most authentic relics of the Silk Road called Tash-Tabat. I called my friendly Advantour agent who seem to be one of the better agencies in all the ‘Stans, I used them successfully in Uzbekistan. No problem said the English speaking Zamira, that will be $730. Well, um, no, that is a little beyond my price range, any alternatives? 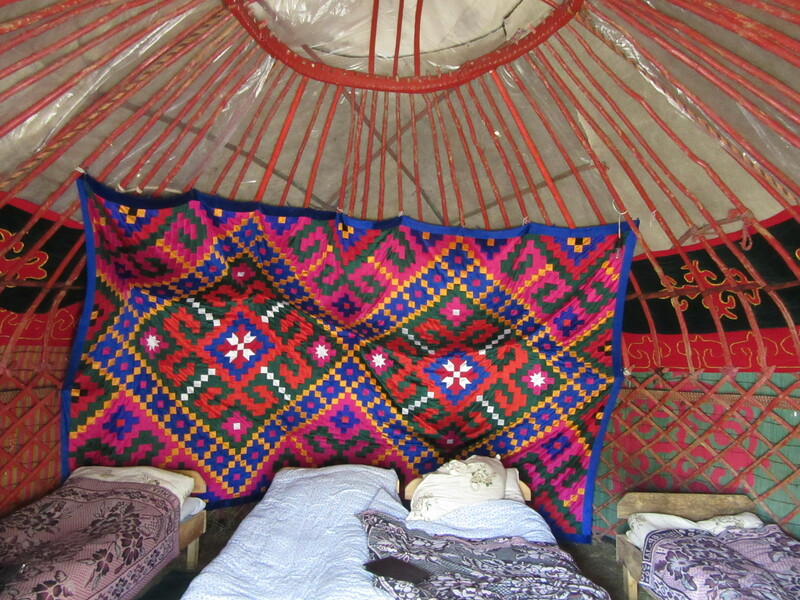 If you get yourself to Narin, about two hundred miles South, I can have my driver pick you up, take you to Tash-Rabat where you will stay in a yurt for two nights and then be driven back to Narin for $130.00. Much better says I, lets do it. Next morning I set off to the bus station where the shared taxis and marshrutkas (mini vans) ply their trade and was met by cries of “Narin, Narin, Narin”, ok, this has to be the place. Following previous marshrutka rides I first checked the tires, then the driver, seats and then the other passengers, if there are kids its probably safe ish. For approximately $12.00 I was on my way. Math wizards among you will be wondering how this could be. If it just been a driver, and me, in a reasonably smart car, the drive to Narin alone would have been $180. Not a problem, I will share my ride with six others and save $180, or $360 round trip, seems quite equitable. The two hundred mile drive to Narin did take five hours but I doubt a smarter car could have done it in less time. The roads were not good, awful in fact, but not as bad as the drive to Dushanbe through the Tunnel of Death. There was a newborn baby on board, she cried once, for ten seconds, so if she could do it, so could I. High in the mountains I was elated to see yurt dwellers doing exactly what yurt dwellers are supposed to do. Grazing their flocks and herds in the high pastures for the summer before returning to the lower slopes for the winter. Its not a myth, legend or folklore, they actually do it. With yurts. I was met, as planned, and we sped off in aforementioned reasonably smart car, an Audi. Under an hour later I was at Tash-Rabat and it was magical. 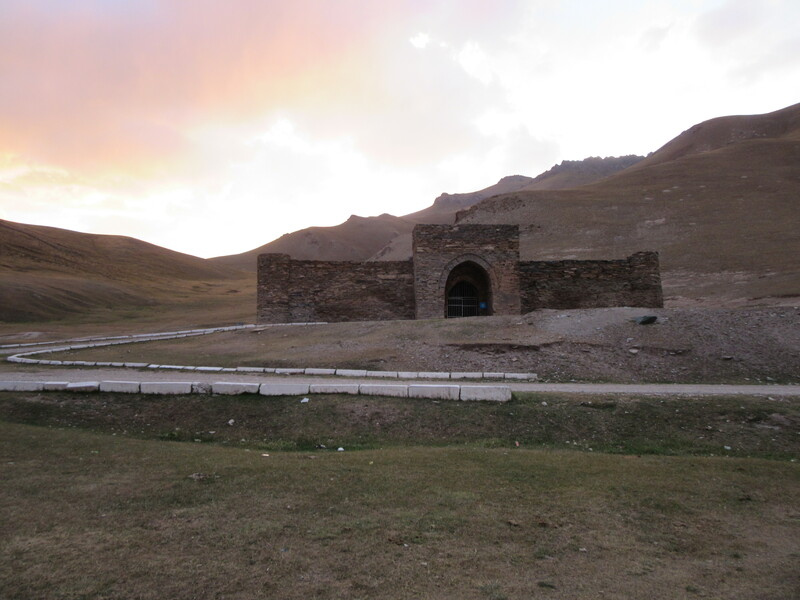 Set in a narrow valley with high hills or mountains on either side it was apparently built in the Sixth Century and was used as an overnight stop for the Silk Road caravans. Sitting outside it at sunset it was easy to imagine the camels and donkeys coming down from the high passes laden with their trade goods, the silks and spices of the East, heading for Europe. The shouts and whistles of the drovers as they approached their night’s rest, some hot tea and dinner. Tethering their animals on the small mesa in front and finding fodder. Yes, I got completely carried away. Following the RV invasion I noticed that the Europeans kept pretty much to themselves in their wagons so, feeling the muse descend, headed to the shack to write this. Scribbling away a most unusual occurrence developed. People speaking English, with English accents, invaded the small shack! Whatever next I thought, head down, scribbling, first the geologists, then the RVers and now here come the Brits. It all worked well out very quickly as they were all extremely pleasant and I was introduced all round over tea, of course. There were people from Portsmouth, Guildford, Edmonton (I know, Canada) and all places in between. We had some huge laughs and they generously shared a beer at sunset behind the Caravansary. I joined them for dinner and found myself ordering the vegetarian option, which along with my solitary beer just goes to show, doesn’t it! After another freezing night in the yurt I felt the slight cold I had during the previous evening had receded, thanks in part to the group leader feeding me medicine, generously. Breakfast and then back on the road to Narin, another marshrutka to Bishkek and here I am, power sockets for charging, A/C, BBC News, wifi, and all the other comforts definitely missing at Tash-Rabat. It was worth the journey. Tash Rabat at sunrise. Where do the children play? 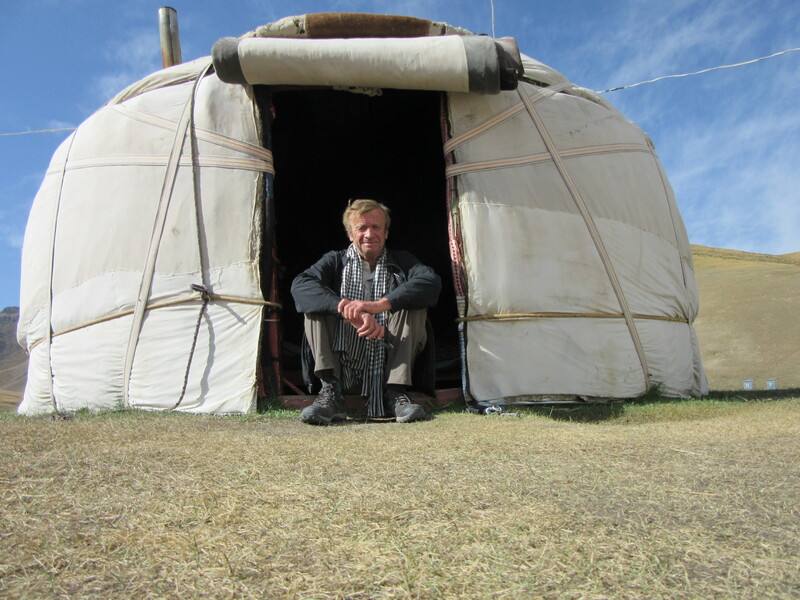 Outside my yurt! A view of the Tien Shan mountains, with the sun in the wrong place. This entry was posted in Uncategorized and tagged Bishkek, Kyrgyzstan, marshrutkas, Narin, Silk Road, Tash Rabat, Tien Shan. Bookmark the permalink. Glad you have made contact and how well you look. Love the colours of the ” quilt” above the beds. All very interesting and what a great experience. Thank you, glad I look well, I didn’t really feel it as had a slight cold and the shaving facilities were a bit sparse. The quilts were very colorful, it was just a shame I couldn’t put them on the bed. With two duvet/eiderdown things, two blankets, my Cafe Flora T-shirt, socks etc I was still frozen after the fire went out in the early hours. You finally made it to the yurts!! I remember the visions of this when we were on Orcas Island last year. These yurts look amazing! I agree with Vicky, the colours of the quilts are beautiful. Can’t quite believe you ordered the vegetarian option-makes me proud!! Agreed Nat, I had visions of authentic yurts when we were on Orcas Island, but I couldn’t really believe that people used them as part of everyday life. I suspected it was just put about to enhance the romance. I mean really, migratory herdsmen on Orcas! But there they were, on mountain sides,in pastures, surrounded by herds and flocks, just sensational. look! Glad you had some company. I think any tent I would have put up in that pass would have blown away rather quickly, there was a minor gale blowing down from the mountains most of the time. It may look luxurious but the beds were hard as rocks, so hard in fact that one of the nice English ladies had to break out her portable crutches to stagger from her yurt to to breakfast. I suppose it would be cold at 12,000 feet above sea level, and it was. Back to my late night business card project learning illustrator. No Sebastian, this is definitely no jaunt through Lonely Planet, in fact I don’t even have a guide book, well not a hard copy with pages! I was scribbling some notes while riding back to Bishkek in the martrushka and looking back on them I see there was not even a jot of boredom, its all so new, so different, so refreshing. We stopped at the same truck stop on the way back as on the way there and the waitress remembered me, I was so pleased she brought tea without me asking. Its the little things aint it. I think that so far I am on track, yes. There have been some challenging moments, babies being sick over me, getting in shouting matches with taxi drivers, being bored to death by “travelers”, worrying that I might say the wrong thing to other English speaking people, but they have been more than made up by the sense of awe that greets most minutes of my days. Actually it was all quite amazing. I think that it was as close as I will get to the scent of the Silk Road and I lapped it up. Happy you liked the photos, can you save them and see them in more detail on your Mac? 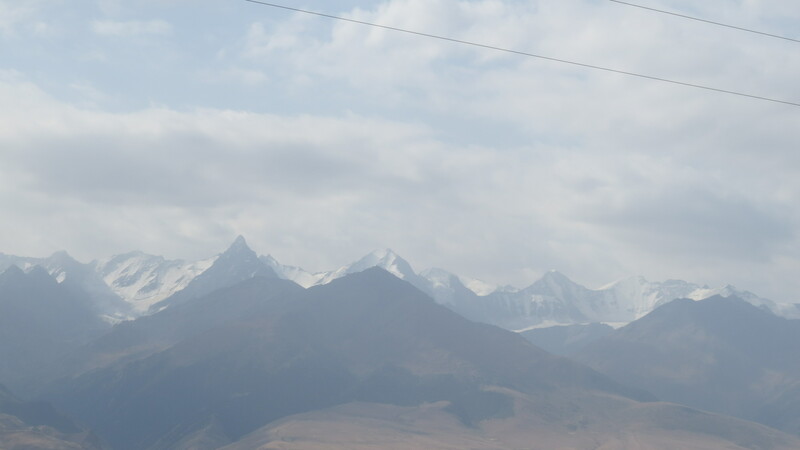 The mountains are quite stupendous, never a dull moment looking out of the window even on a five hour drive and I am entranced that they are the Tien Shan range. You know what a geography wonk I am. Bishkek has some very high mountains just about visible from anywhere in the city, so tomorrow, my last night here I am going to a rooftop bar/restaurant with the hope of capturing the sunset over the snow clad peaks. If only I had known about your soft spot for geologists, well, I could have taken a photo, or something! 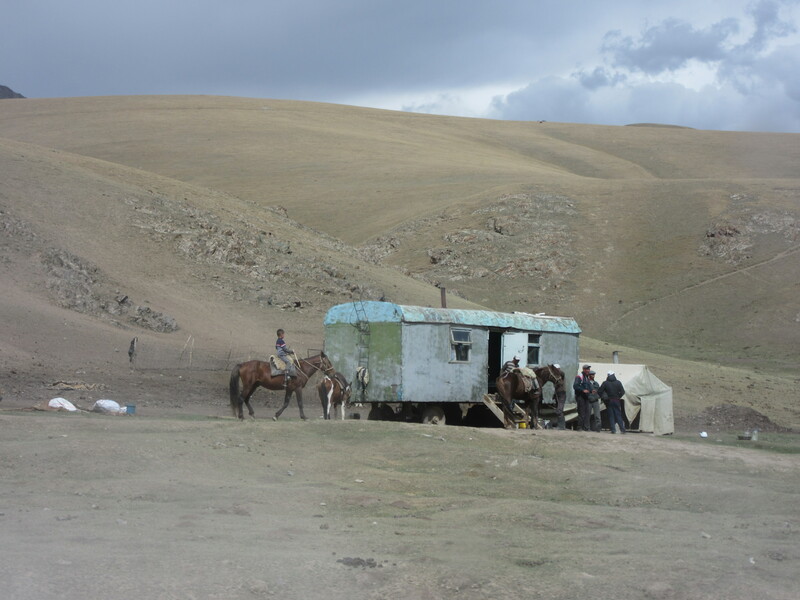 I seem to have got stuck in Osh, Kyrgyzstan, so not actually “going” at the moment. I’m sure the situation will be resolved,soon. Although the days are still beautiful in Marin county, last night I felt a hint of fall in the air. Miss you and Jules in the neighborhood but really enjoy reading your blogs and studying posted pictures. Its always reassuring to see pics of you Tim. There is a distinct feel of Fall in the air here too, leaves falling and the like. Have to say that I feel a bit of a prat posting photos of myself, but may post more after your encouragement. Good to have you along for the ride. Nothing “pratty” at all about posting photos of yourself! Carry on with more. Your travels are becoming more and more remote and interesting. I’m intrigued as it is a part of the world I never wanted to visit and now on to China? Another part of the world I have never wanted to visit – too many people, too many crowds. I find it hard to be in third world countries, makes me feel odd. Glad you are enjoying so much. Now feeling even more remote, there was a drive of an hour from the railway station out into the desert. It doesn’t seem to be too crowded and people pretty much ignore me as I make my way around. The last couple of days however were not the same, not the same at all. Big city, smog, busy sidewalks etc. I am happy to have left. Finally trying to catch up with you! 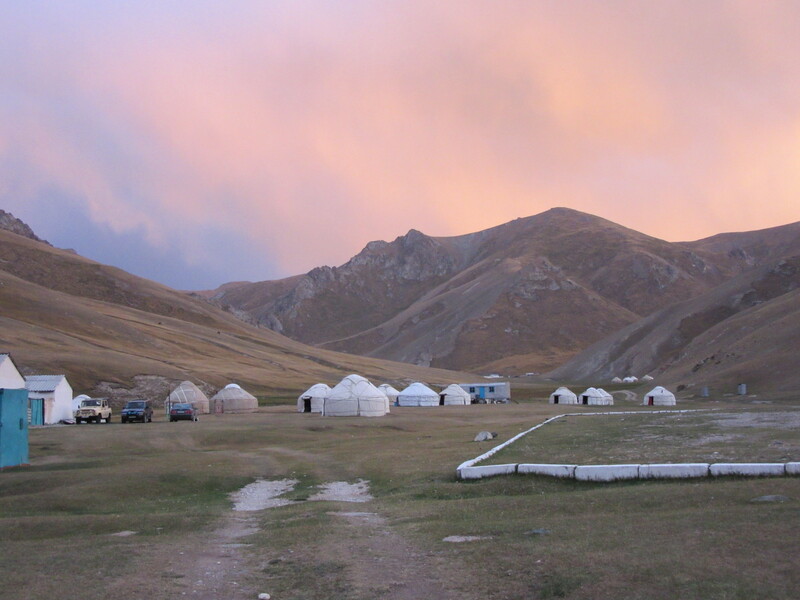 Tash Rabat is …a village….a building…a yurt camp with or without RV’s? Looks so isolated, must be strange. Then again you’ve mentioned lots of people, so maybe not that isolated. Just stay safe! Tash Rabat was the name of the caravansary, so yes, a building. It was very isolated and quiet, for a little while. Thanks James, it was a pleasure to meet you too and what interesting circumstances, Tash Rabat. Just to conclude our conversation it seems my definition of ‘gibbous’ was wildly off the mark. ‘A gibbous moon is one of the phases of the Moon, when the size of the illuminated portion is greater than half but not a full Moon’. Dear Tim, I was one of the Brits you met at Tash Rabat. 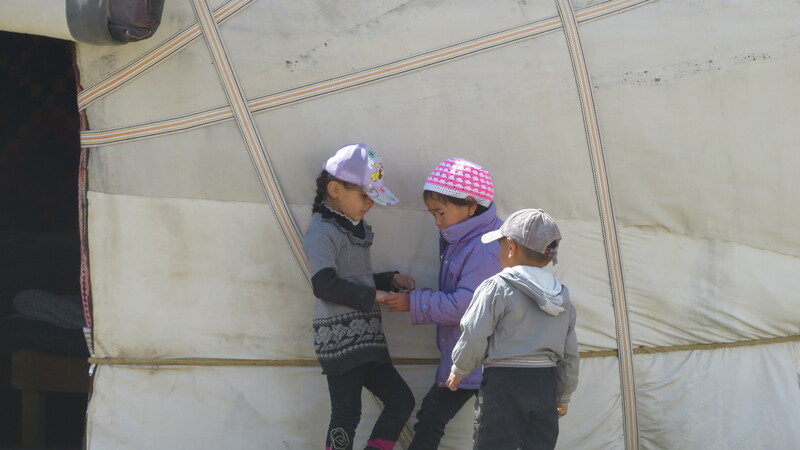 I have enjoyed reading your travel log on Tash RAbat and Khiva. It helps to bring back my own memories. Wish I could join you for all of your trip. Ours was far too short. Sarah Southwold (a Brit- American living in the Netherlands). If you stop in the Netherlands, you are welcome to stay. Glad you are enjoying the travel log. Khiva and Tash Rabat stand out as two of the highlights of the trip.